Anantara Bangkok Riverside Resort & Spa is transforming the most romantic day of the year into a perfect evening of sensual gastronomy. 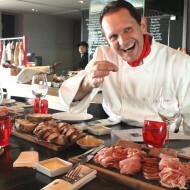 Experience the charm of a riverside oasis or cruise the Chao Phraya River itself, falling even more deeply in love with a choice of five magical Valentine dining journeys on 14th February 2012. Spoil someone special at the Pacific Rim restaurant Trader Vic’s. Idyllically located next to the Chao Phraya River, couples can book a table for two in the richly decorated Polynesian dining room or outside in the private tropical garden to watch timeless river life glide by. Listen to the ambient music of a fantastic live band whilst savouring a special seven course set menu inspired by Kama Sutra as a tribute to love, priced at THB 4,499 ++ per couple. 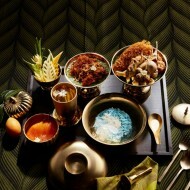 In addition to a sumptuous choice of mains, the amorous culinary sequence includes an array of aphrodisiac delicacies. For instance “Oysters 3 Ways – au natural, tempura and Rockefeller” showcases seafood that has been coveted by lovers since the Greek era. “Avocado ice cream with nutmeg dust and cilantro biscotti” has been created since avocado was called the “chocolate of the fruits” by the Aztecs, and was used by the Mayans to enhance desire and passion. 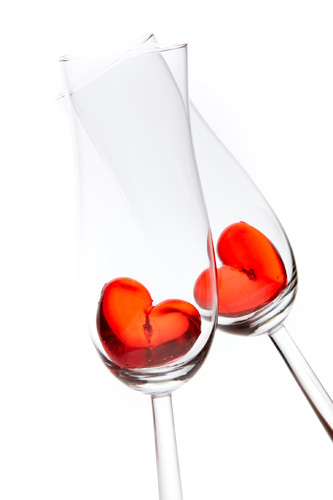 While a complimentary bottle of Prosecco, rose and chocolate box invites couples to celebrate with delicious bubbles. Alternatively share a voyage of enchanting discovery aboard a Manohra Dining Cruise. Saunter along the Chao Phraya River at a serene and relaxing pace, surrounded by the old world splendour of a lovingly restored antique rice barge. Cruise past some of Bangkok’s most famous regal and temple landmarks, toasting the illuminated river by night with a complimentary bottle of Prosecco. Indulge the taste buds with a six course refined Thai menu, priced at THB 5,499 ++ per couple including rose and chocolate box. 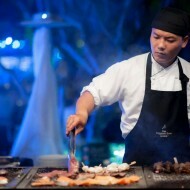 Drawing on the kingdom’s most popular regional recipes, and then embellishing this cuisine’s famous four flavour balance with sought after local and international ingredients, couples feast on exceptional dishes such as an enticing fresh salad of rock lobster scented with home grown Thai herbs and crunchy green mango, as well as a fragrant mussaman curry of grain fed Australian Wagyu beef with sweet potatoes and peanuts. 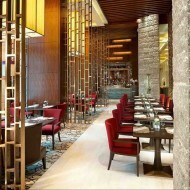 Wow your lover in a Tuscany villa style restaurant of classic Italian romance at Brio. Experience charming fine dining, sampling a medley of masterpieces including a Taglierini pasta with black truffle and Pan fried snow fish on red onions, cherry tomato broth and capers berry. The price is THB 3,499 ++ per couple, including a bottle of Prosecco, rose and chocolate box. Discover a world of unique flavors together in a magical riverside setting at Riverside Terrace. Journey side by side to the exotic east and best of the gourmet west and feel inspired by local culture where acoustic music and authentic Thai dance are performed on a flame lit stage under a dazzling moonlit sky. 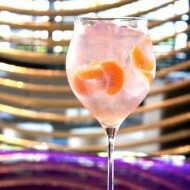 The grand international buffet priced at THB 1,999 ++ per person, including a glass of Prosecco, rose and chocolate box. From our Japanese steakhouse Benihana promising an experience at every table, couples can rejoice in a vibrant night of “eatertainment”, marveling at the theatrical cooking shows of talented Teppannyaki Chefs conjuring mouthwatering eastern delicacies with complimentary a rose and chocolate box. 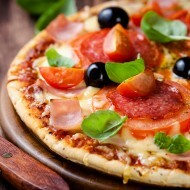 Prices are subjected to 10% service charge and applicable government tax. 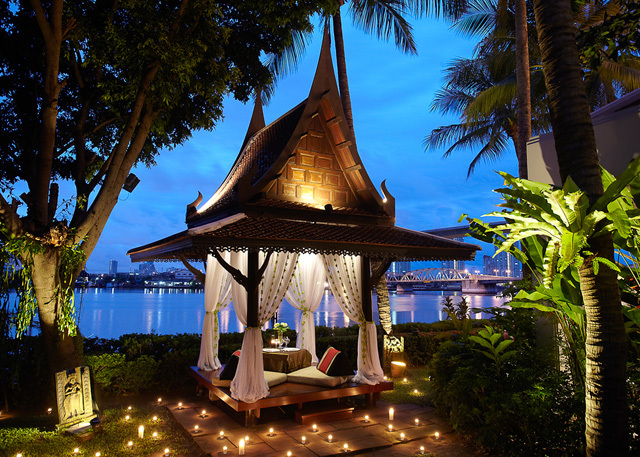 Choose from five extraordinary Valentine journeys at Anantara Bangkok Riverside Resort & Spa.